As part of the "TECHNIC" project (Technology Partner for Innovation and Cooperation for VET)in the period 6-10 February 2019 in Germany, in the towns of Pritzwalk and Potsdam, the second week of training C2 - SP-VET-SHORT - Short-term joint staff training events - Vocational Education and Training was held. The activity was organized by Bildungsgesellschaft mbH Pritzwalk and during the day in Potsdam by MANCOM gbg, both partners of the project and addressed to those responsible for promoting the school image and professional and technical education (VET). The training activities were held in 5 days focused on the following topics: promotion of TVET in the community in order to increase the number of students interested in this field; professional advice and guidance tools and methods used in Germany; the relationship with businesses and local authorities to develop VET and to attract young people to vocational and technical education; the use of ICT tools in the promotion of TVET. The evaluation of the learning activity was carried out both during the courses, through practical activities, and by completing an evaluation questionnaire. At the end of the five days of the course, the Certificate of Participation was handed out to all the participants. 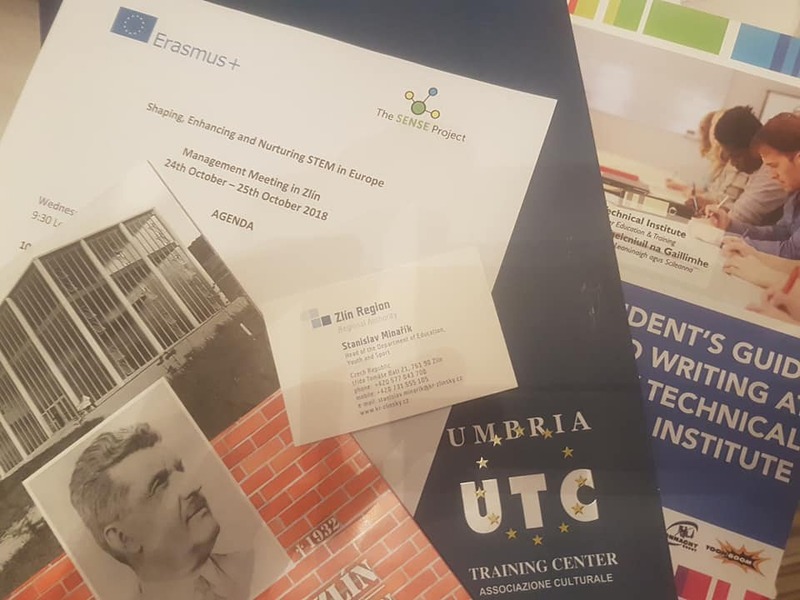 During the week from 12 to 16 November, the "C1 - SP-VET-SHORT - Short-term joint staff training events - Vocational Education and Training" of the Erasmus+ KA 202 TECHNIC project took place. During the training week, many issues concerning VET were discussed: the relationship between schools and workplaces, guidelines and proposals of carrier models, marketing and management, ICT tools etc. Special thanks to the institutions that have hosted us and have added value to this experience: the Public Employment Service in Perugia (PES), ICT Cavallotti-Baldelli, Ponti Engineering VET Center, PLURIVERSUM center, METRICA center, and the Host Consulting. 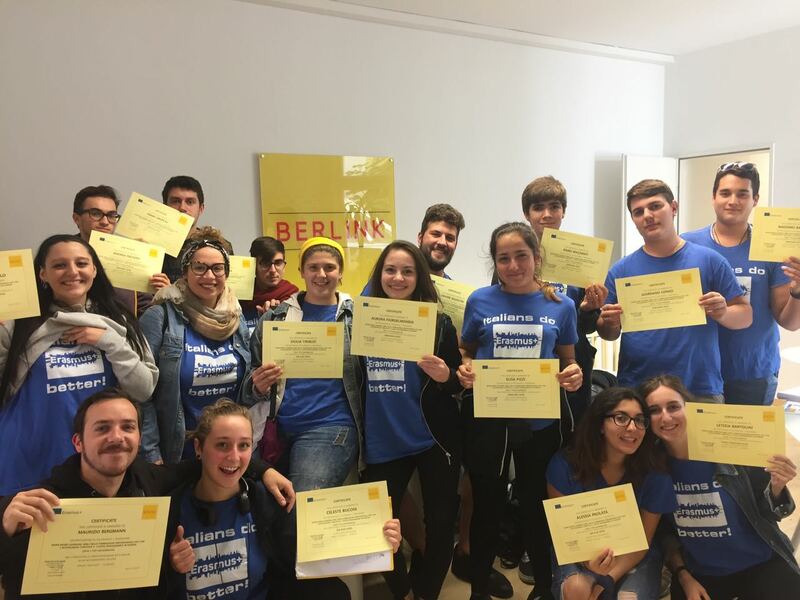 Also a heartfelt thanks to our partners Inspectoratul Scolar Judetean Alba, Alexandru Domsa Technical High School Alba, Consiliul Judetean Alba, Technological High School "T. Cipariu"- Blaj, Bildungsgesellschaft mbH Pritzwalk, MANCOM GmbH, IPSIA "L. Santarella". Near the Christmas holidays, the Staff of Umbria Training Center takes the opportunity to wish everyone a Merry Christmas and a Happy New Year! 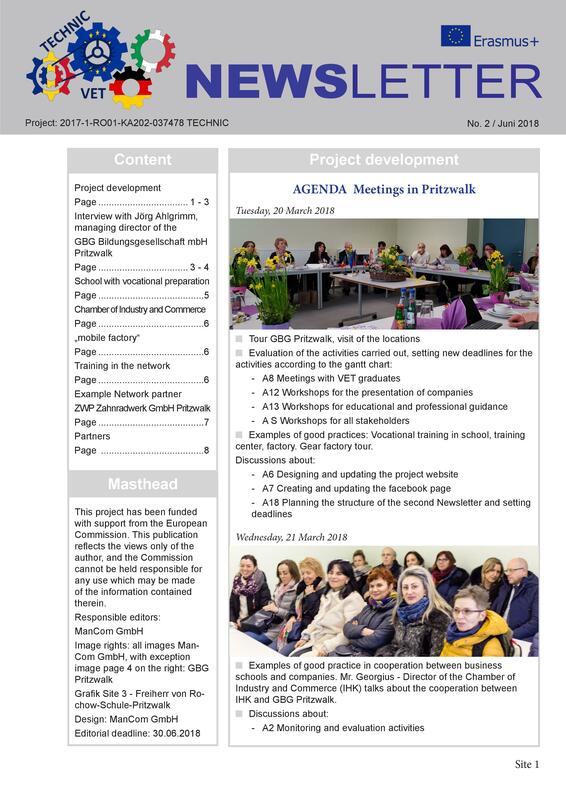 After the second transnational meeting in Pritzwalk (Germany) for the TECHnical partNership towards Innovation and Cooperation for VET 2017-1-RO01-KA202-037478 project, we publish the second newsletter which shows the progress of the project and the main outputs. The next transnational meeting is scheduled in Bari in March 2019. The Erasmus + K2 "SENSE" project - Shaping, Enhancing and Nurturing STEM in Europe, had its first transnational meeting in the Czech Republic, in the city of Zlin. The objective of the project is to support STEM (Science, Technology, Engineering, and Mathematics) studies, ie courses of study and educational choices aimed at increasing competitiveness in the scientific field, in order to improve the correspondence between the supply of skills and job applications. Seven partners who sat at the table of the partnership: the Zlin Region (Czech Republic), the training company TREXIMA (Czech Republic), the educational center SES13-19 (England), the council for education and training GRETB (Ireland), the University of Cyprus - Department of Sciences, the center for the promotion of lifelong learning CPIP (Romania) and our training center UTC - Umbria Training Center (Italy). Waiting for the next meeting, we wish all the partners a good job! From December 4th to 7th the first transnational meeting of the partisan promoter of the project "TECHNIC - TECHnical partNership towards Innovation and Cooperation for VET" was held in the town of Alba Iulia cod. 2017-1-RO01-KA202-037478. This is a strategic partnership project Erasmus +, in collaboration with the provincial school office and the province of Alba Iulia, the professional institutes "Alexandru Domşa" of Alba Iulia and "Timothy Cipariu" of Blaj (Romania), the center of GBG training of Pritzwalk and the consulting agency "Mancom GmbH" of Potsdam (Germany), the Professional Institute of Industry and Crafts "L. Santarella" of Bari and our association "Umbria Training Center" (Italy). The general objective of the project is to improve the supply of vocational training schools (VET) for students and their parents and, through the exchange of good practices, develop marketing strategies for vocational schools and plan orientation actions in entry to potential new students. A tangible result of the project will be a Vocational Counselling Guide, addressed to teachers, trainers and local managers. This first meeting, between work sessions and visits to local partners, laid the foundations for an intense and profitable collaboration. In the next period, the professional partner institutes will share the profiles of their respective qualifications and local format contexts, giving us an appointment from March 19 to 23. 2018 in Pritzwalk (Germany) for the second transnational meeting! The first three successful Erasmus' years! Thirty years ago, when there was still the Berlin Wall, the first Erasmus was an attempt at globalization that today became a social phenomenon. The event to celebrate this event is the 13th of October, on the occasion of the press conference dedicated to the event, the Istituto Alberghiero will announce an important news: for the third consecutive year 100 students will leave for two months of internships in the company in different cities of Europe. The Eramus + "WBL.StrategicSkills@VetTourism.EU" project, which will take shape in the summer of 2018, includes seven European destinations: Spain, Germany, England, Cyprus, Bulgaria, Greece and this year's new arrivals, Finland. 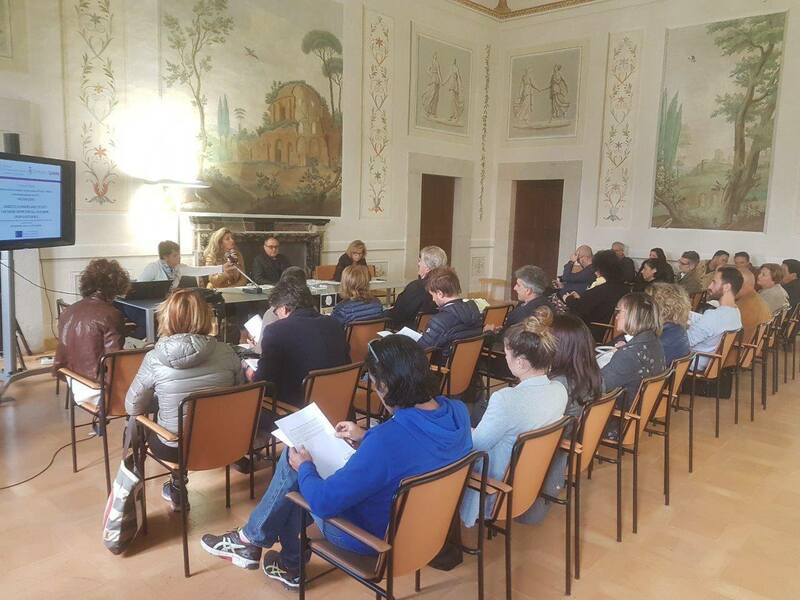 In addition, the schools involved will no longer be 4 or 5: it is added to the Spoleto hotel institutes - the leader of the project - Città di Castello, Assisi and the Agrarian institute of Sant'Anatolia, the commercial technical institute and geometries "De Gasperi - Battle "of Norcia. The number of local partners is also increasing, ranging from 7 to 17. 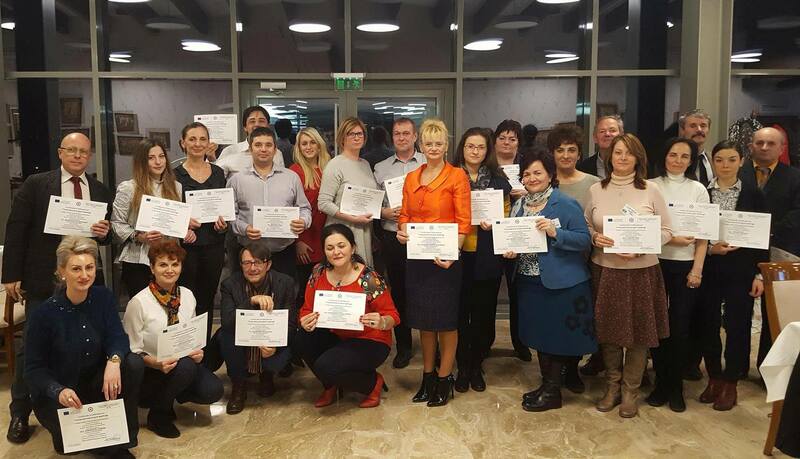 In addition to the 100 students, 36 teachers / trainers will be attending (26 from the VET and 10 from the Consortiums of Enterprises and Local Authorities), training: CLIL for Tourism Sector, School Management and Teaching Skills for WBL in Great Britain. The aim of the project is to enhance work-placement alternation paths to increase employability in the international and regional tourism business sector affected by the economic crisis and the earthquake. Eramus+: 100 learners comes back home! 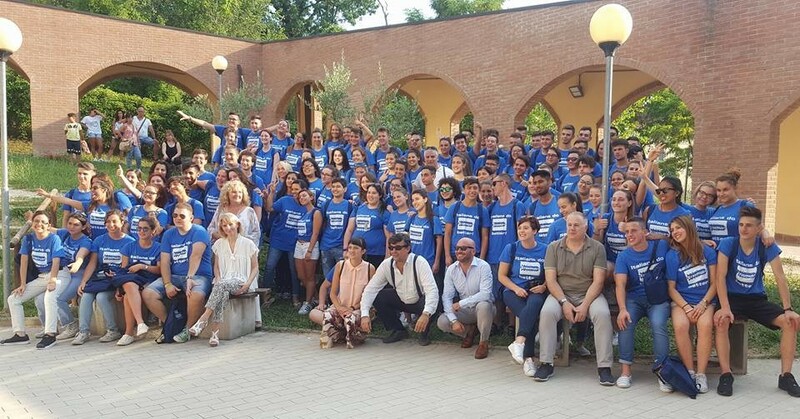 The Summer is over....and so is the beautiful internship experience of the 100 students who, selected at the various Umbrian hospitality-schools , have had the luck to live. 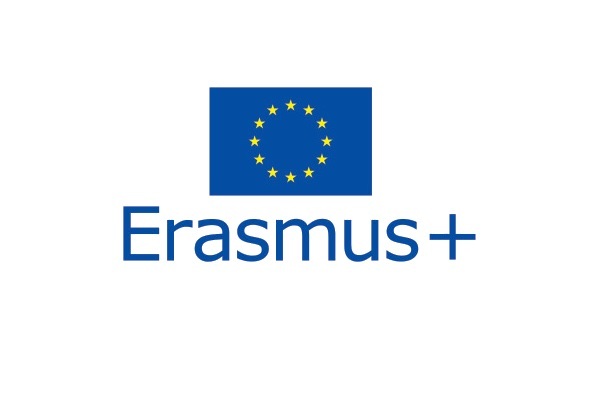 The Erasmus+ "Welcome.WBL@vet.eU__WORK BASED LEARNING (WBL) IN VOCATIONAL TRAINING FOR HOSPITALITY AND HOTEL MANAGEMENT IN EUROPE" project, with the Hotel Institut "G.De Carolis" of Spoleto as lead partner, has partnered with the "F.Cavallotti" Institut of Città di Castello, the Hotel Institut of Assisi and, novelty of this year, the technical institut for the agriculture of Sant'Anatolia di Narco. The students departed the 14th July towards Germany, England, Spain, Cyprus, Bulgaria, Malta and Greece for two months of professional training in hospitality, caterning and environment. The forty-seven companies involved in this project showed a great enthusiams in welcoming our students, enabling them to acquire professional, personal, linguistic and social skills. This experience, in addition to enriching their cultural heritage, has allowed some to get a job contract due to their high preparation. The difficulties of adaptation in a city and in a socio-cultural context completly different from their home were a bit, but with the help of the coordinator of the project Andrea Martoglio and the 22 group leader, the students were able to deal with them and win them... As one of the learners has synthesized "Thank to you we have done everything by ourselfs!"